The Body Shop Beautifying Oils are scented multi-purpose oils which can be used on body,face and hair. The beautifying oils come in a range of scents; mango, shea, moringa, satsuma, olive, mango, pink grapefruit, strawberry, coconut and cocoa butter. As coconut is my all time favourite scent I obviously had to go with the coconut option. When in the bottle the scents can be a little bit overpowering, but don't let that put you off because once applied the scent fades somewhat leaving a lovely subtle scent. I tend to apply this product on a day-to-day basis as an alternative to perfume. The oil has a lightweight,hydrating formula so it doesn't feel greasy on the skin. When I used the product as a body oil it left my skin feeling soft and looking healthy (the oil leaves a subtle sheen on the skin). I don't really tend to apply oils to my hair and face as naturally my hair and face get oily quite easily, however I decided to put this multi use product to the test and I was pleasantly surprised. I applied a small amount of the oil to just the bottom of my hair and it was much softer and easy to manage, oh and it smelt lovely too. When I applied a small amount of the oil to my face my face was left feeling soft and hydrated and to my surprise (and relief) the product didn't seem to encourage my skin to product more oil or breakout. 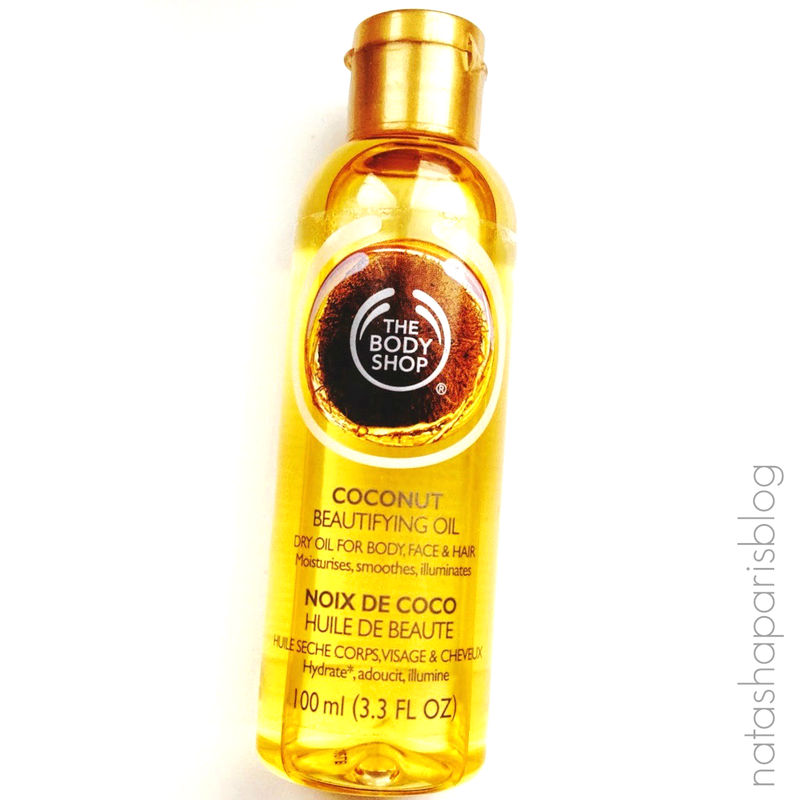 The Body Shop Coconut Beautifying Oil comes in a generous 100ml size and can be picked up for £10 in store or online. Do you have any favourite products from The Body Shop?